A-HOTEL.com - Luxury and cheap accommodation in Nev'yansk, Russia. Prices and hotel, apartment booking in Nev'yansk and surrounding. This indicative offer was derived from the most recently booked accommodation in Nev'yansk and sort by the price, from cheapest Nev'yansk accommodation to the most expensive hotels. To select accommodation by your preferences we recommend to choose from 1 accommodation offers in Nev'yansk in total. By entering the dates of your overnight stay in Nev'yansk and using the filter tools you can sort the best possible accommodation for you. The entered dates of your stay are crucial for the most accurate offer as it derives all the online information on pricing and availability of Nev'yansk accommodation. Then you can book the selected Nev'yansk lodging (hotels, apartments etc.) immediately. Apartment on Lenina st. Is located in Nev'yansk and offers a shared lounge. Kapriz is offering accommodation in Kirovgrad. Among the facilities of this property are a restaurant, a 24-hour front desk and room service, along with free WiFi. Offering a restaurant and a bar, Park-hotel Lesnaya is located in Lenëvka. This property has free WiFi access and free parking. Situated in Tavatuy, Hotel Solnechny Bereg features a garden. There is a restaurant. Set in Kalinovo in Sverdlovsk Region, 50 km from Yekaterinburg, Chalet with Fireplace for Family Vacationя features a barbecue zone and sauna. This property is a 5-minute walk of the Tavatuy lake. Featuring a sauna, Studio Apartment is set in Kalinovo. Boasting lake views and a garden, this apartment also comes with free WiFi. Providing a private beach area, Recreation "Zelenaya Gorka" features accommodation in Kalinovo. The accommodation features a sauna. Situated in Klyuchiki in the Sverdlovsk region, Holiday Park Kluychiki provides accommodation with free WiFi. There is also a kitchen in some of the units equipped with a fridge and a stovetop. Apartamenty Uyutnoye Gnezdo is set in Nizhniy Tagil. The accommodation is 10 km from the Nizhni Tagil Bus Station. Offering mountain views, Marokkansky loft is an accommodation set in Nizhniy Tagil, 10 km from Nizhni Tagil Bus Station and 5 km from Lisya Mountain. The property, housed in a building dating from 2016, has free WiFi and is 7 km from Nizhny Tagil Park of Culture and Leisure. Located in Nizhniy Tagil, within 9 km of Nizhni Tagil Bus Station, Apartment Murinskiye Prudy is an accommodation offering mountain views. Guests staying at this apartment have access to free WiFi. Located in Nizhniy Tagil, 9 km from Nizhni Tagil Bus Station, Апартаменты на Смелянского 2 offers a living room with a flat-screen TV. The Lisya Mountain and the Nizhny Tagil Park of Culture and Leisure are within 5 km and 6 km of the apartment, and free WiFi is provided. Apartment on Chernoistochinskoye Shosse offers accommodation in Nizhniy Tagil, 9 km from Nizhni Tagil Bus Station and 4.2 km from Lisya Mountain. Located 8 km from Nizhni Tagil Bus Station and 5 km from Lisya Mountain in Nizhniy Tagil, Apartament on Oktyabrskii Prospect offers accommodation with a kitchen. 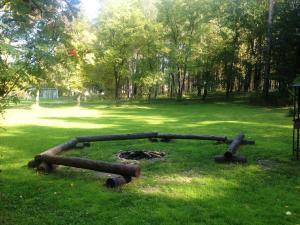 The property is 5 km from Nizhny Tagil Park of Culture and Leisure. Аппартаменты is located in Nizhniy Tagil. The Nizhni Tagil Bus Station and the Lisya Mountain are within 9 km and 4. Черноисточинское шоссе 19а is situated in Nizhniy Tagil. The accommodation features free WiFi. Set in Nizhniy Tagil, within 7 km of Nizhni Tagil Bus Station, Otlichnoe Reshenie Apartment is an accommodation offering river views. Guests staying at this apartment have access to a balcony. Set 7 km from Nizhni Tagil Bus Station and 2.9 km from Lisya Mountain, EuropaAsia Apartment offers accommodation situated in Nizhniy Tagil. Featuring city views, Apartment on Zari 109 provides accommodation with a balcony and a kettle, around 12 km from Nizhni Tagil Bus Station. The accommodation is 13 km from Nizhny Tagil Park of Culture and Leisure.